If your wages are being garnished you have 2 options for protecting your paycheck. First, you can file a claim of exemption and hope that the creditor does not object and set the matter for hearing. Alternatively, you can file bankruptcy and force the creditor and Sheriff to stop the wage garnishment. To expedite your bankruptcy you can file an emergency bankruptcy petition. 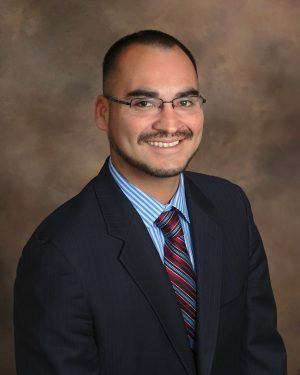 Bankruptcy attorney Michael Benavides can often file your petition within 1 day of you calling. To learn how bankruptcy can stop your wage garnishment, or to hire Michael Benavides to file your emergency bankruptcy petition, call (707) 200-6688 and schedule your free consultation. The mechanics of how bankruptcy will stop your wage garnishment is fairly straightforward. In essence, when you file chapter 7 or chapter 13 bankruptcy the automatic stay arises. Under Section 362 of the Bankruptcy Code (which is federal law) creditors are prohibited from taking most collection actions after a bankruptcy petition is filed with the appropriate bankruptcy court. This prohibition comes into effect immediately after the bankruptcy petition is electronically filed and is thus automatic. If creditors with notice of the filing take collection action in willful violationof the automatic stay they can be held in contempt or subject to other remedies. Therefore, when a bankruptcy attorney files your emergency bankruptcy petition the automatic stay arises preventing your creditor from continuing the wage garnishment. To make sure that your wage garnishment stops immediately your bankruptcy attorney will send a fax to both the creditor and Sonoma County Sheriff Department’s Civil Bureau informing them of the bankruptcy filing, case number, and effect of the automatic stay. From that point federal case law is clear that it is the responsibility of the creditor to cease the wage garnishment. You can file a bankruptcy petition to initiate your bankruptcy and invoke the protections of the automatic stay. However, within 14 days of filing the petition your attorney must file the remaining documents or else your case can be dismissed. In light of this 2 week deadline emergency petitions risk dismissal of your case and often impose more work for both you and your attorney. On the other hand, filing an emergency bankruptcy petition will immediately protect your wages. If you are willing to pay your attorney a little more to initiate an emergency bankruptcy it can be the best way to stop wage garnishment. To file an emergency bankruptcy petition visit santarosabankruptcy.us and contact attorney Michael Benavides.